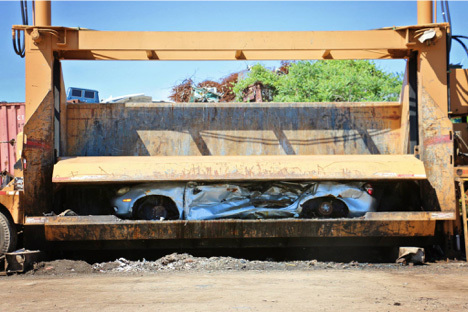 Automobile Recycling Services | Moffatt Scrap Iron & Metal Inc. Complete Roll-Off container and bin services across Southern Ontario and beyond to assist you during site clean-up. Whether your needs are long term, on a contractual basis or one time only, we have the container to meet your needs. Call us today and let us know when you are beginning your project. We will be there for you from start to finish of your next job. Moffatt Scrap Iron & Metal, Inc offers a variety of mobile services. Let our experts come to your site and develop a custom plan for you. Our diverse selection of equipment allows us to tackle your onsite needs. All operators are trained, insured and comply with all government regulations and your onsite procedures.